ngôi sao Trek hình nền. . HD Wallpaper and background images in the Du hành giữa các vì sao club tagged: star trek wallpaper star trek 2009 kirk spock mccouy chekov sulu uhura scotty. 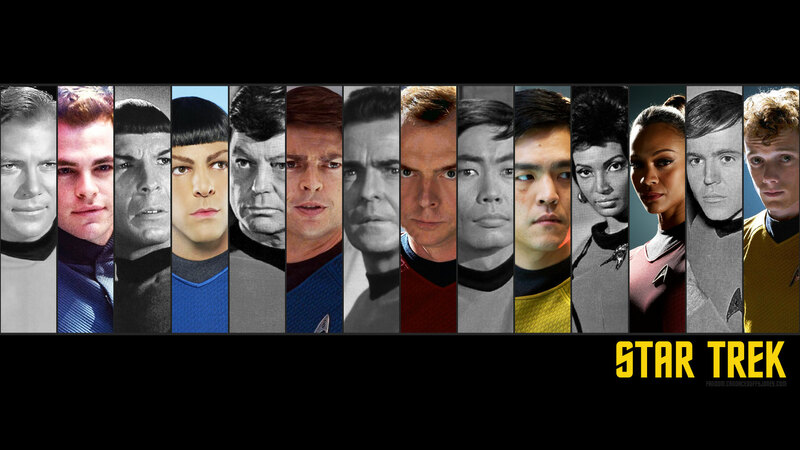 This is a cool comparison of the original series cast with the newer movie cast.